I love what I do. I would have never believed it if someone told me a year ago that this is what I would be doing. I would have laughed, pretty hard I'm guessing. But now I can't imagine doing anything else. I get to spend my day helping people though what some thing is the worst thing that could ever happen to them. I know they don't mean that but in that moment of stress and shame and failure they feel it - because I felt it too the first time. Now I know better and for a brief moment in time I get to help people see they didn't fail just because their family got lice and they don't have to stress about it because the AirAlle method is so easy and lets face it - lice like clean hair and they know who the greatest host and hostesses are. While treatments are happening I get to chat with people. Every day new people and it is great. I learn of all sorts of new places to go and see. Fun stuff to do with the kids or on date night. But of course the biggest topic of conversation is Lice. In those conversations I learn all the different ways people have tried to rid them from their life. Many of them I've heard multiple times before and can find all sorts of info on the internet - mayo, olive oil, baby oil. Day after day sleeping with these on your hair. Then there is the Cetaphil and hair dryer method - again multiple days of this. All the over the counter methods done multiple times during an infestation along with the prescriptions from doctors. People even go as far as having relatives from their native countries send them crazy chemical topical treatments from home and some even go as far as putting gasoline on their head and the heads of their kids. I know the panic that hits when you discover lice - I've been there. It is overpowering!! But when it happens try as hard as you can to take a deep breath and take a moment. Would you put gasoline on your child at any other time? If the answer is no you shouldn't do it just because you found lice. Would you let your child sleep with a plastic bag in their bed let alone their head? If the answer is no you shouldn't do it just because you found lice. 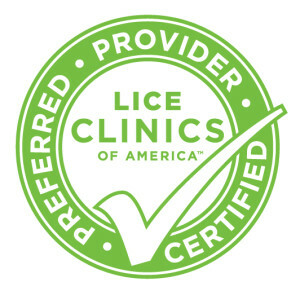 Lice Clinics of America is an easy, chemical free and safe method of lice removal without all the follow up the above mentioned methods require. You get to take time to relax while we take care of the lice and in about an hour life is back to normal. Which ever method you use - please be safe! !